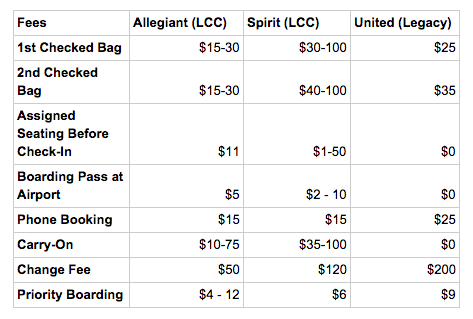 When the cheapest ticket is from a low-cost carrier like Spirit or Allegiant, it’s important to take those pesky ancillary fees into account. Here are some tips from the expert team at Hopper! When you're searching for flights it can be tempting to just buy the cheapest ticket. But when the cheapest ticket is from a low-cost carrier like Spirit or Allegiant, it's important to take ancillary fees into account. 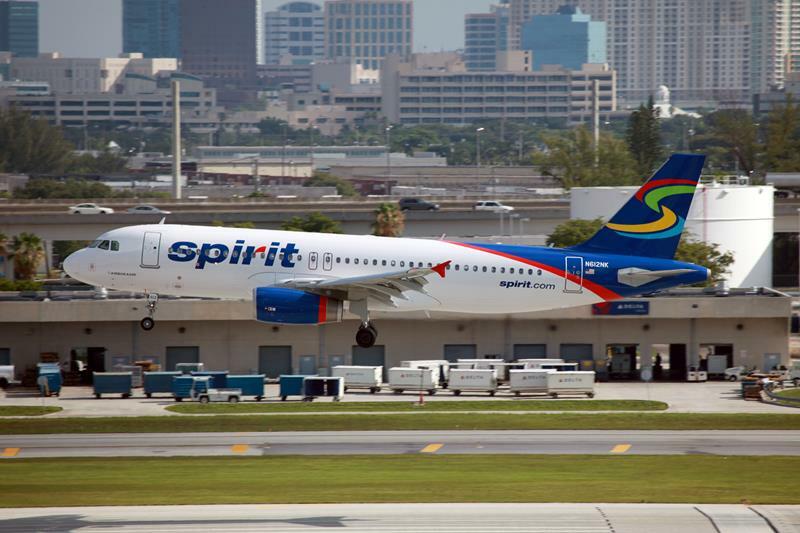 Spirit earns, on average, $51.22 from each passenger in ancillary fees. Allegiant, its low-cost competitor, is not far behind at $44.87. So that $68 ticket to Fort Lauderdale is actually more like a $120 ticket. While the legacy carriers (United, American and Delta) uniformly charge fees for checked bags, most of their ancillary revenue still comes from selling frequent flyer mileage to partner companies. Low-cost carriers, on the other hand, make virtually all of their ancillary revenue from fees charged to the consumer. Download Hopper's new mobile app to find the best deals and you could save up to 40% on your next flight! Below we compare how the fees of two low-cost carriers stack up to a legacy carrier and we'll talk about ways to make sure that your low-cost ticket is truly low cost. To figure out how much your flight really costs, check out Hopper's interactive airline fee calculator. Spirit charges more for a carry-on bag than a checked bag. A carry-on is $35, while a checked bag of up to 40 lbs is only $30 when purchased at booking. That's just $5 more than a legacy carrier like United. To save even more, try sharing a checked bag with your travel companion. Don't forget to print your boarding pass: Both Spirit and Allegiant will charge you anywhere from $2-10 to print it out at the airport. Doing it before hand is an easy way to save a few bucks. This advice applies to low-cost carriers and legacy carriers alike, as each charges a fee of $10-25 to book on the phone. Instead use a cool app like Hopper or book directly on the airline's website. The lowest rates on any low-cost carrier ancillary fees are only available at time of booking. If you wait until online check in to pay for your checked bag it'll be a little more expensive. A the airport, however, it'll cost a small fortune: Spirit charges an extra $70 to travelers waiting until the airport to pay for their checked bags. You can save some money by not pre-purchasing assigned seats if you don't need to sit with your travel companions. Seats will be assigned to you at check in and if you're lucky you may still be able to sit with your companions, but it won't be guaranteed. Looking for cheap flights? Hopper's new mobile app can help you save!